This week we continued to roll out features that complement our new layout design, improved the workflow for our users, researched user-based personalization, and continued optimizing site performance. Keep reading below to get all the details of what we’ve been working on! Over the past couple of months, the Tech team has been hard at work rolling out design updates for Kinja blog pages which included larger images, custom typography, and a brand new sidebar. We are happy to announce the newest addition to this family of improvements: full-width videos! Previously on a story page, video size would not expand the width of the column— the increased size of 800px now matches the aesthetic of our layout redesign, and allows videos to be viewed at the full width of the page—improving the viewing experience for all our users. In addition to launching full-width videos on the story page, we’ve also added the functionality for all media to increase to full width on stream pages. Now if a blog admin recommends a smaller main image on the story page, it will appear as a larger, full-width image on the stream page. The experience of navigating our platform and reading its content should feel seamless, so for the next couple of months our new Performance team will be working towards making Kinja’s blog home pages and post pages as fast and as smooth as possible. We are implementing many smaller improvements to asset size and load times, which continually add up to show decreases in key metrics. Over the last couple of weeks, highlights of our work include decreasing load time for user information by 20% and loading more of our page elements as users need them instead of immediately when the page loads. Previously, when a user was added as a member of a blog, this action would happen without any form of verification. In order to prevent people accidentally being added to blogs, or people being added to blogs without their consent, we’ve introduced a new workflow to make the process smoother and more intuitive. Now users will receive a notification to either accept or decline their invitation to become a blog member. Additionally, the user who added a member to their blog will receive a notification once the pending member either accepts or declines their invitation. If you are interested in learning more, check out our recent product post which goes in to more detail on this new feature. 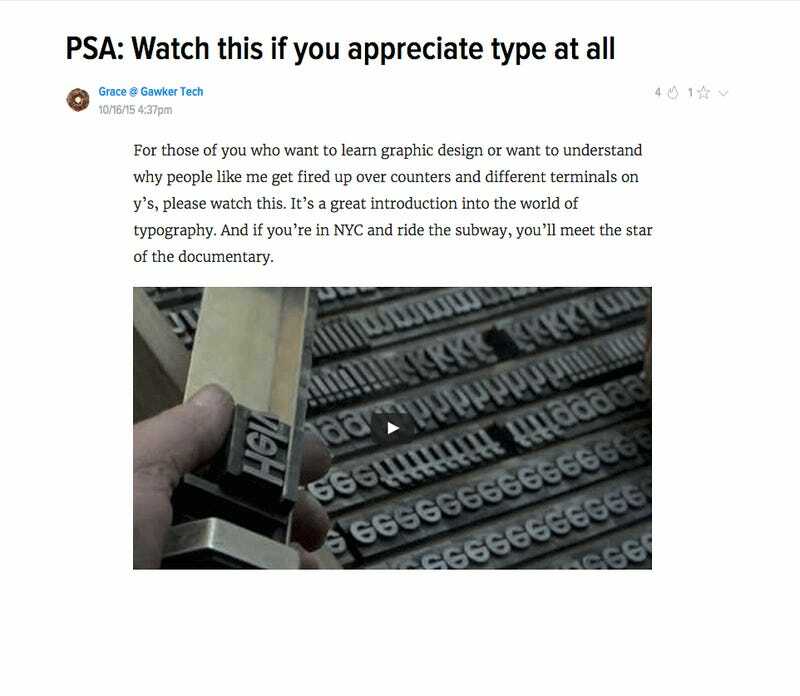 The newly formed Personalization team has been hard at work researching ways to give Kinja users a more unique and personalized experience based on their reading history. As part of the process, we are currently testing out a few different algorithms for post recommendations that are user-specific. These algorithms will be powering a recommendation module that we are already testing internally— stay tuned for more updates about this exciting project! 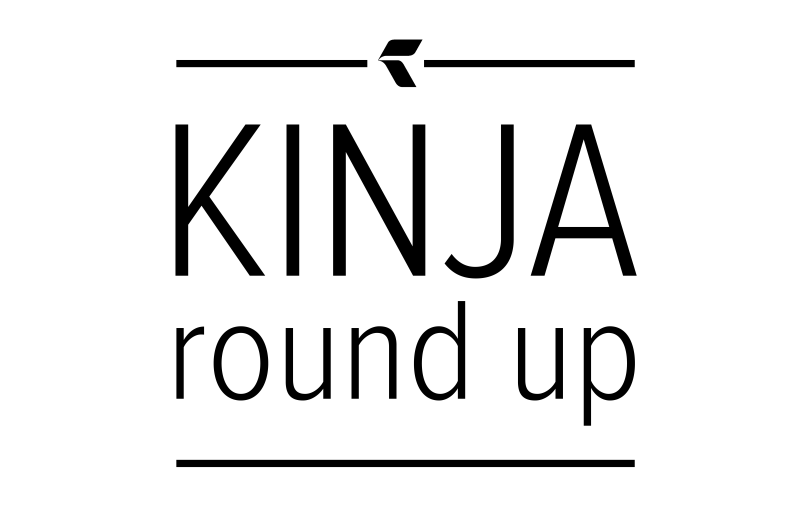 Stay tuned for the next Kinja Roundup to hear about the latest features and updates from the Gawker Tech Department!